Ron Anderson established Auto Specialists, Inc. in in Omaha in 1989. He had started fixing cars as a teenager, and worked at an automotive service station as his first job out of high school. That was in 1977, which means Ron has now been in the auto repair industry for over 40 years and counting. Before opening Auto Specialists, Inc., he was operating his service station, and felt the need to expand beyond two bays. Once he got his own auto repair shop up and running, Ron hired his good friend Randy Jackson to operate the business for him. 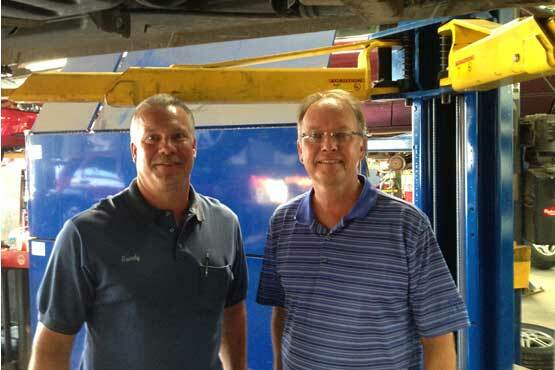 Ron and Randy had previously worked together at the service station for six years, and Ron valued Randy’s automotive knowledge and work ethic. He felt Randy would be a great fit for managing the shop. As our many happy, long-time customers will attest, Ron was very right about that. Here at Auto Specialists, Inc., our passion for car repair and customer service is evident the minute you walk in the door. If you’ve been to our auto repair shop before, chances are you’ll see a familiar face and be called by name, as we pride ourselves on having some of the same staff for over 25 years. Our clean, professional exterior and inviting interior will give you even more confidence we know what we’re doing. We are a full-service, comprehensive auto repair shop prepared to take care of your every automotive need. Our mechanics and staff have 140 years of combined experience in the auto repair industry, and all our technicians are ASE certified. Two of our techs are even ASE Master Technicians. We take great pride in repairing your car right the first time, and we don’t take shortcuts because your safety is our number one concern. Our shop is also equipped with the latest equipment and technology available to repair your vehicle to manufacturer specifications. Once you experience our top-notch service, you’ll tell all your friends and family about us, so they’ll experience it, too! And for that, we thank you.